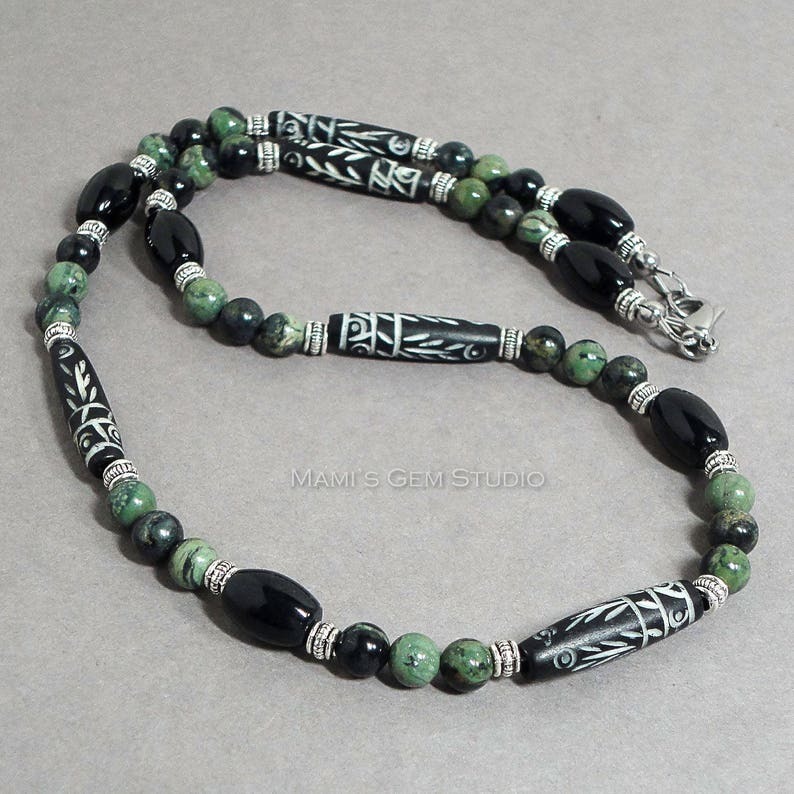 I made this tribal-inspired stylish necklace for men, featuring bone beads dyed in black with distinctive tribal design, which has been hand-carved by skilled craftsmen, combined with well-polished Black Onyx and soft green Kambaba Jasper gemstone beads. I embellished the necklace with antiqued silver tone pewter spacers, and finished off with a stainless steel lobster claw clasp. Lead-safe. once again, a great item and a fast shipper !! Thanks ! !